As long as you have an output device that can handle at least 15 pages in a minute then you are sure of fast and reliable performance for commercial office processes. This is a machine of a print speed of 32 pages per minute. Its input tray capacity of 250 sheets supports the bulk output operations. This is an ideal feature to handle automated functions. When it comes to connectivity, this is a tool that can deal with wireless, USB and Ethernet connections. The USB interface runs on a 2.0 high-speed bandwidth. 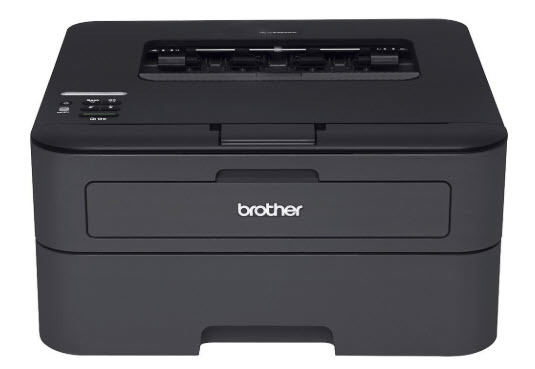 The black color printer runs on a laser technology output with an automatic document feeder to run programmed processes. It has a monochrome printer output ideal for both plain paper and other delicate paper types like labels, fabric, labels, and envelopes. A unique function of this machine is the deep sleep mode which saves on power when it stays idle for some time. The wireless setup and installation process works on a wizard-like structure which makes it simple and user-friendly. If you are looking for a machine that can fit your busy home office then this is the best option based on the value-added functions it comes with. Brother HL-L2360DW Printer Driver is licensed as freeware for PC or laptop with Windows 32 bit and 64 bit operating system. It is in printers category and is available to all software users as a free download.